Home / Blog / Taped and Mudded: What Does It Mean? What Does it Mean if a Wall is Taped and Mudded? 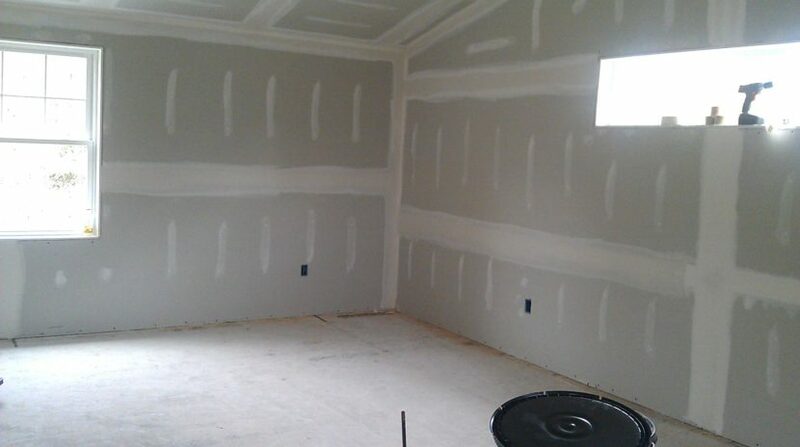 The terms taping and mudding is a part of the drywall finishing process. It’s will take many steps, starting with careful taping of all the joints where drywall sheets come together. At least a few layers of “mud” (drywall compound) must be applied, with drying/curing time and sanding in between. The terms actually describe a process to make drywall smooth, safe and fire resistant. The drywall or sheetrock itself can also be purchased with a specific fire resistance rating or layered to add extra fire resistance. Applying drywall tape helps bond together adjacent sheets of drywall. Doing this creates continuity and helps reduce any motion or cracking. Joint compound can turn into powder if you neglect to apply tape to shore it up. In cases where excessive movement is expected, drywall mesh may be necessary, but is more expensive and more difficult to smooth out, so it’s typically only used for potentially problematic areas. “Mud” is a joint compound (also known as drywall compound or Mastic) is a white powder of primarily gypsum dust mixed with water to form a mud the consistency of cake frosting, which is used with paper or fiber joint tape to seal joints between sheets of drywall to create a seamless base for paint on interior walls. You can use either dry or pre-mixed mud for your drywalling project. The very first coat of mudding compound is basically the “glue” to hold down the joint tape that connects/seals together the sheets of drywall. Other coats of mud will smooth over the tape, nail holes, etc. You’ll sand the mudded walls between coasts of mud. After taping and mudding drywall, the last finishing steps include texturing (if desired) and painting. All Pro Handymen representatives are experienced drywallers! We’ll do the job right, so that your home or business location meets local fire codes and passes inspection.